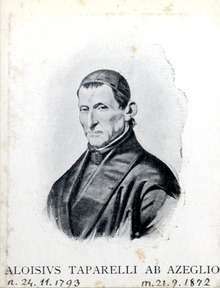 Luigi Taparelli (born Prospero Taparelli d'Azeglio; 1793 – 1862) was an Italian Catholic scholar of the Society of Jesus who some claim coined the term social justice (although the Oxford English Dictionary cites prior references). He cofounded the journal Civiltà Cattolica in 1850 and wrote for it for twelve years. He was particularly concerned with the problems arising from the industrial revolution. He was a proponent of reviving the philosophical school of Thomism, and his social teachings influenced Pope Leo XIII's 1891 encyclical, Rerum novarum (On the Condition of the Working Classes). In 1825, he became convinced that the philosophy of Thomas Aquinas needed to be revived, thinking that the subjective philosophy of René Descartes leads to dramatic errors in morality and politics. He reasoned that whereas different opinions on the natural sciences have no effect on nature, unclear metaphysical ideas about humanity and society can lead to social chaos. 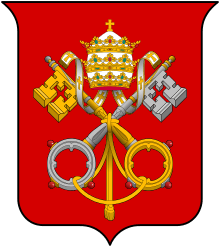 The Catholic Church had not yet developed a clear philosophical view regarding the great social changes that were appearing in the early nineteenth century in Europe, which led to much confusion among the Church hierarchy and laity. In response to this problem, Taparelli applied the methods of Thomism to these social problems in a coherent manner. After the social revolutions of 1848, the Church decided to enter the conflict raging between the laissez-faire liberal capitalists and the socialists. Up until then, the Church relied primarily on evangelical charitable activities. In 1850, Taparelli was granted permission by Pope Pius IX to co-found Civiltà Cattolica with Carlo Maria Curci. In particular, he attacked the tendency to separate morality from positive law, and also the “heterodox spirit” of unconstrained freedom of conscience which destroyed the unity of society. His major ideas include sociality and subsidiarity. He viewed society as not a monolithic group of individuals, but of various levels of sub-societies, with individuals being members of these. Each level of society has both rights and duties which should be recognized and supported. All levels of society should cooperate rationally and not resort to competition and conflict. His brother was the Italian politician Massimo D’Azeglio. ↑ Herbermann, Charles, ed. (1913). "Aloysius Taparelli". Catholic Encyclopedia. New York: Robert Appleton Company.